Do you live in Britain's fastest-moving property market? Estate agents said buyers are able to swap a small terraced home in Bristol for a large detached family home in Newport for the same price. The calculation assumes homeowners stay in their first home for under four years on average before taking their second step on the ladder. The statistics were compiled by Halifax using its own house price database. 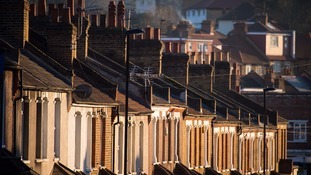 The communities secretary said it was unacceptable for home buyers to be exploited by unfair practices. In 2017, the value of privately-owned homes has grown by £376 billion to reach £6.015 trillion, the bank said. Ministers are also looking at schemes such as “lock-in agreements” to reduce the 250,000 sales that fall through annually. The proportion of adults in families owning more than one property has surged, while the number of those with no property wealth also grew. The average house price in a UK city has surged by nearly a third over the last five years, a shocking report has found.